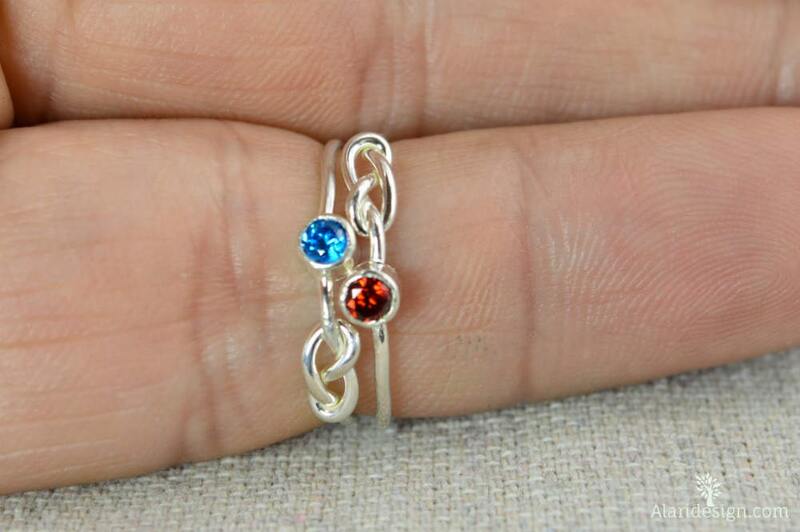 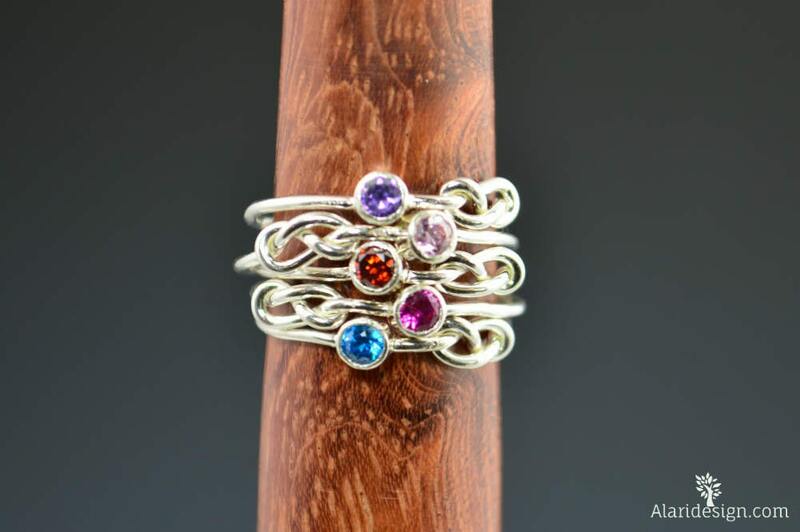 These rings are made thin sterling wire formed into an infinity knot, and set with a 3mm birthstone. 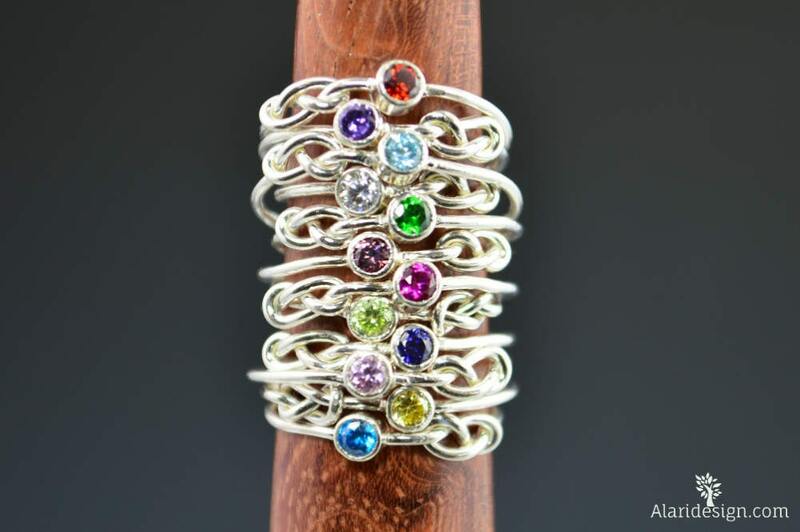 • Each Ring is made with 1mm wire. 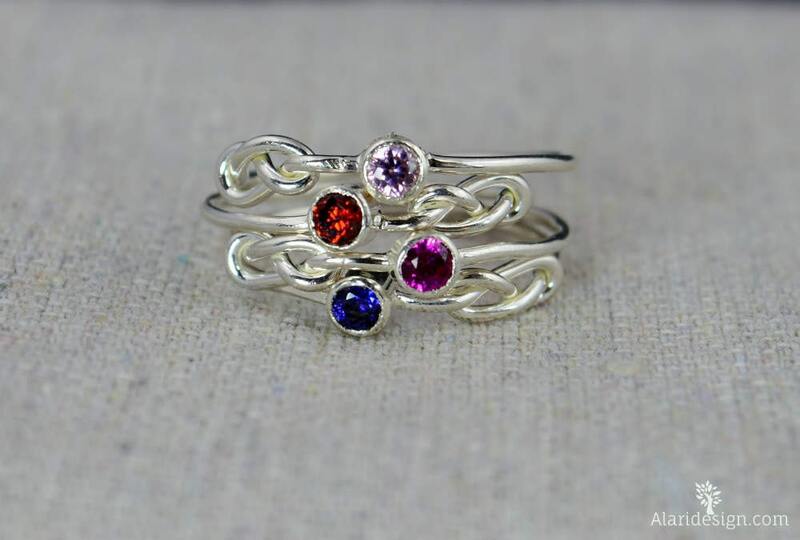 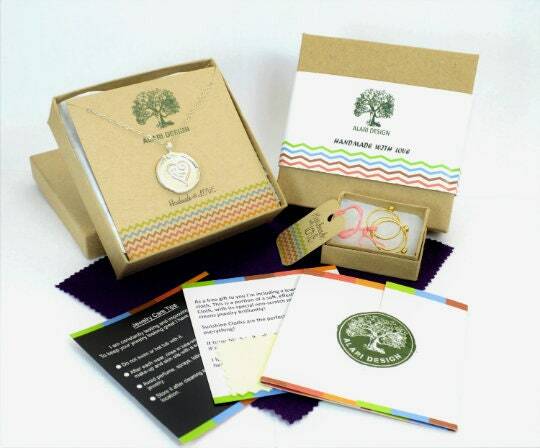 • If you are going to wear 5 rings I recommend 1/2 size larger.